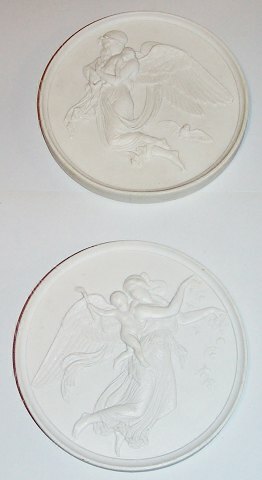 Royal Copenhagen Bisque Plate Night and Day #86 and #123. Copy from 1840 after Thorvaldsens original from Rom 1815. Measures 12,5cm for the small set and 14,5cm larger set. These are with the old marks from before 1900, not new reproductions.